The Louisville Leopards Girls Varsity Basketball Team defeated the visiting Akron North Vikings 78-26 on Senior Night Monday at Louisville High School. With the victory, Louisville finishes the regular season with an even 11-11 record. 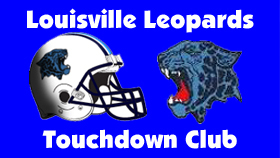 All eleven Lady Leopard scored during the contest as Louisville scored a season high total in points. Sherilynn Mullett led all LHS scorers with 11 points to go along with 4 rebounds. Kelsey Adelman and Paige Cole also reached double digits with 10 points each. Cole scored 8 of her 10 points in the first quarter, while Adelman was a mirror image scored 8 of her 10 points in the fourth quarter. Freshman Paris Snell hit 2 three-pointers and scored a game-high 15 points to lead Akron North. The first of her triples came with 5:15 left in the first quarter to get the Vikings to within 6-5. The Leopards answered back with a 24-0 run over the next 7:09 of game clock. At the end of the first quarter Louisville was on pace to reach the century mark leading 26-5 before extending their advantage to 30-5 at the conclusion of their 24-0 run. The Lady Leopards led 45-15 at the half and 63-24 by the end of the third. Despite the score, Louisville put the clamps down in the fourth quarter in holding Akron North to only 2 points on a single field goal. Leopards outshot the Vikings 47% (31 of 65) to 24% (10 of 41) from the floor. Louisville out-rebounded Akron North 42-17 led by Senior Erin Hahn who pulled down a team-high 5 rebounds. Hahn also had a game-high 4 thefts as LHS produced 10 steals as a team and caused havoc in the Vikings backcourt all throughout the first half. The Lady Leopards other Senior Sigrid Skaar, an exchange student from Norway, was the only player on the team who didn’t score in the first half. She would go on to score twice in the second half and finish with 4 points much to the delight of her teammates and the LHS crowd. All three Seniors were honored before the game with the traditional Senior walk-throughs. This is just the second meeting between the two schools in their history. Louisville also defeated Akron North 60-29 in the DII Lake Sectional Finals on February 24, 1990 to begin their deepest tournament run ever to the Division II Regional Championship. UP NEXT: The 5th Seed Lady Leopards will next travel to Green to take on the 4th Seed Bulld ogs in the DI Canton Sectional Finals on Thursday, February 21 at 7:00 PM. VIKINGS: Snell 6 1-3 15, Oden 2 0-0 4, Prim 2 0-0 4, Swanson 0 3-6 3. TOTAL 10 4-9 26. LEOPARDS: Mullett 3 5-6 11, Adelman 3 4-4 10, Cole 5 0-0 10, Hahn 4 1-3 9, Joseph 4 0-0 9, Bast 3 0-1 7, Gibson 3 0-0 7, Galentine 2 1-2 5, Siegfried 1 1-2 4, Skaar 2 0-1 4, Loy 1 0-0 2. TOTAL 31 12-19 78.